I also blog about paleontology, paleoanthropology and occasionally archaeology for Discover at Dead Things. Curious about the self-publishing trend a few years back, I decided to experiment and get one of the novels I’ve written into print. 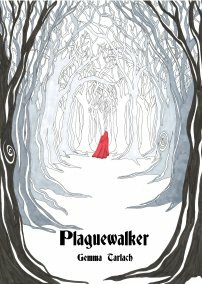 So I published my dark historical, Plaguewalker, available on Amazon in deadtree or e-book format.